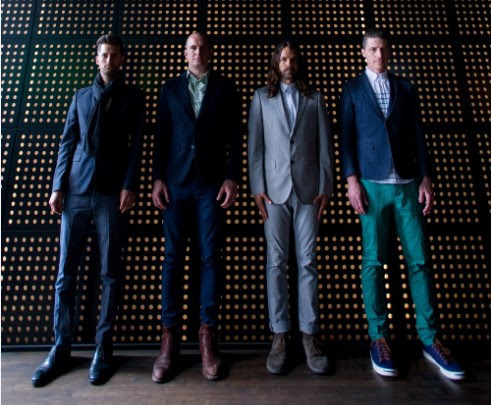 GRAMMY-nominated, alternative rock band MUTEMATH is excited to release a third song off of their highly anticipated upcoming album VITALS. The track,"Light Up," is now streaming exclusively via The Wall Street Journal. PRESS HERE to listen now! VITALS will be available on November 13th and is being self-released under the band's own label, Wojtek Records in partnership with Caroline Distribution. 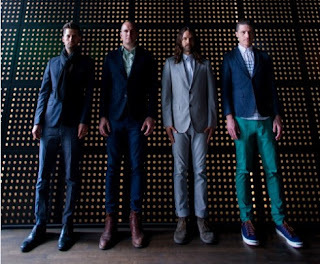 Fans can pre-order the album NOW via iTunes, Amazon and the MUTEMATH store. The band recently stopped by Jimmy Kimmel Live! to give an electrifying performance of two previous released tracks! Check out "Monument" and "Used To" now. MUTEMATH is currently on a completely sold out fall tour which included a stop at Austin City Limits Music Festival for an official ACL late night show this past weekend, and details of their highly anticipated return to Europe, and upcoming 2016 US dates will come in the following weeks. Stay tuned for more info!